This is a ready to install mounting plate for a 4th Generation SS emblem (93-02 style emblems). In order to sell this item, we must, at this time, sell the SS emblems separately HERE. This purchase will get you the mounting base / landing pad for the emblems to install to. The base will come with studs protruding from the rear side that will come compete with fasteners to tighten the mounting plate to your Heritage grille. We use special bolts that we machine down and sandwich fit into the base assembly for a low-profile finish. There is also pre-applied 3M double-sided automotive tape on the back if you want to use it for extra holding power. 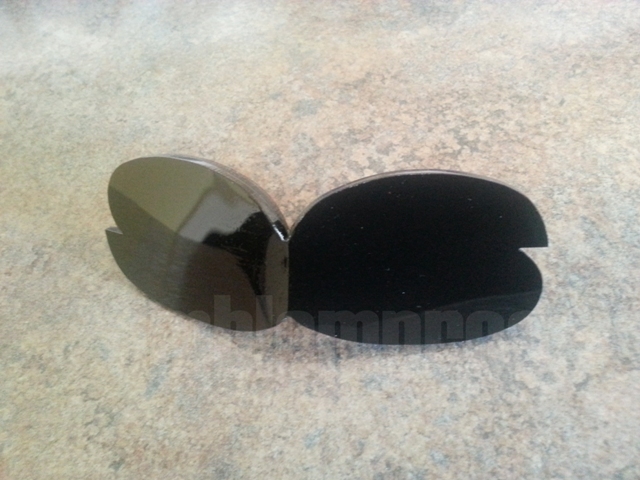 The base is made from laser-cut, gloss black acrylic. *NOTE - This item is only tested to work with the GM Heritage Grille. This is not the satndard GM grille. *NOTE - We highly suggest that the final install be done using a thread-locker product.